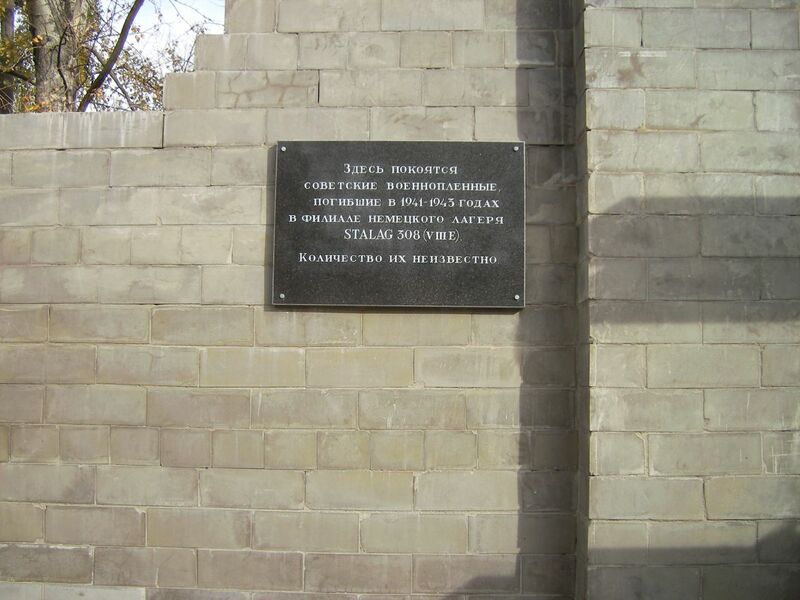 Our reader Hartmut Morgeneyer contributed photos taken at the Stalag Memorial in Karl Marx Street, Kursk, Russia. So far, we had had no knowledge of this POW camp whose official name was probably Stalag 308 (VIII E)/Z. It was a branch camp (Zweiglager) of Stalag 308 (VIII E). The main camp changed its location several times. It was moved from Neuhammer am Queis (now Swietoszow), Poland, to Sumy, Ukraine, and finally to Bathorn, Germany. 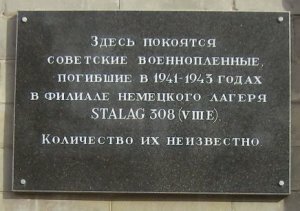 Another POW camp in Kursk was Dulag 314. The site was later used as a Soviet POW camp (no. 147). Hartmut Morgeneyer's father Wilhelm was one of the German prisoners who died there. This page tells his story. Jordi hat geschrieben: The site was later used as a Soviet POW camp (no. 147). Hartmut Morgeneyer's father Wilhelm was one of the German prisoners who died there. This page tells his story. 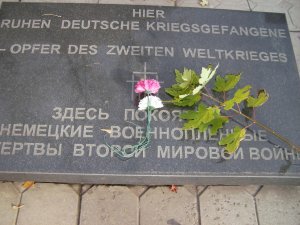 I have been in Kursk some years ago and I visited the memorial. It was a special feeling to be there. Thank you for your site. I am goingt to read something about Wilhelm Morgeneyer now. The memorials of great war heroes are ignored everywhere through ages. This is a common practice in all parts of the world. 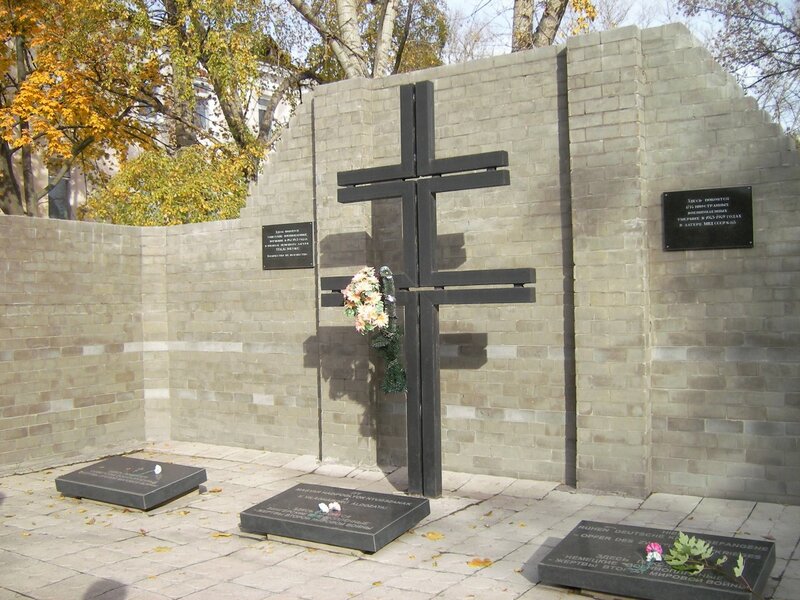 In some countries these memorials are destroyed to create space for new building and houses. It is really unfair to the family of these warriors and to the society as a whole. Peace. Jordi hat geschrieben: The site was later used as a Soviet POW camp (no. 147). Hartmut Morgeneyer's father Wilhelm was one of the German prisoners who died there. This page tells the story. daavidfischer hat geschrieben: The memorials of great war heroes are ignored everywhere through ages. This is a common practice in all parts of the world. In some countries these memorials are destroyed to create space for new building and houses. It is really unfair to the family of these warriors and to the society as a whole. Peace. This always gives my goose bumps while reading these posts. I don’t know why. I actually respect all those great souls who gave their life to protect us. But then this world is still cursed with all those war and hatred. We should be ashamed of it.